Photo: Cresthaven (The Boston House), ca. 1909, 239 South Indian River Drive, Fort Pierce, FL. Listed on the National Register of Historic Places in 1985. Photographed by user:SebasTorrente (own work), 2009, [cc-by-3.0 (creativecommons.org/licenses/by/3.0)], via Wikimedia Commons, accessed December, 2013. 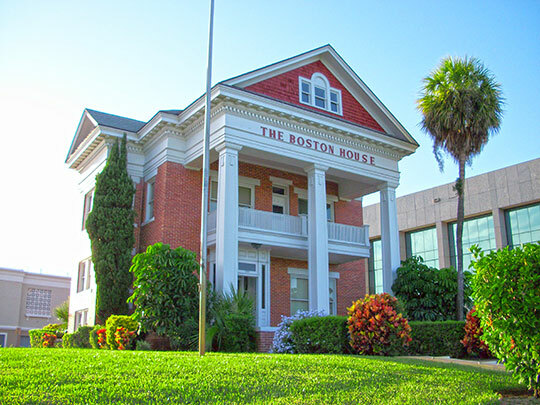 St. Lucie County administrative offices are located at 2300 Virginia Avenue, Fort Pierce, FL 34982; phone: 772-462-1100. The county was established in 1905 from part of Brevard County.